We have bible classes available for all ages every Sunday morning at 9:30am. Our Sunday morning worship begins at 10:30am, and again that evening at 5:00pm. 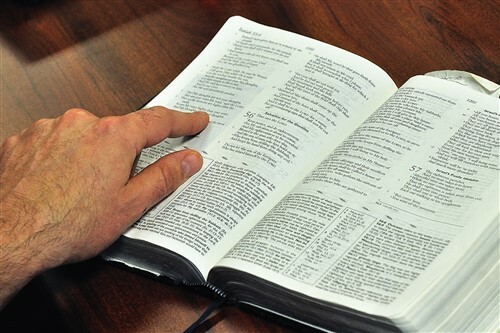 We have bible classes available for all ages every Wednesday night at 7:00pm. 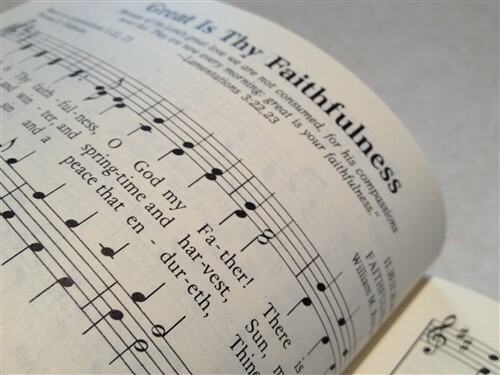 Our worship consists of activities found in the New Testament text, such as praying, singing together, hearing the word of God proclaimed, partaking of the Lord's Supper, and giving back to God as we have prospered to further the work that God has appointed the church to do (we do not solicit any funds from our visitors). Our Adult class is committed to serious study and discussion of the word of God. The various children's classes are not a glorified playtime, but a spiritual education given at a level that they will understand and have fun learning about the Bible and what it means for their life. We're just outside the main gate of the Little Rock Air Force Base! If coming from LRAFB, turn right onto Marshall Road, then take an immediate left onto McArthur Drive. In 0.5 miles, our building will be on the Left. If coming from I-67/167, take the Gregory St exit, continue on Gregory Street for 0.3 miles until you come to McArthur Drive. Turn right onto McArthur Drive, and the building will be on the right. From I-40 in Little Rock take I-67/167 north towards Jacksonville. Take exit 10A towards James Street. Make slight left onto T.P. White Drive. Turn left at the light onto N. James St. After half a mile turn right onto Gregory Street. Continue for 0.3 miles, then turn right onto McArthur Drive, and the building is on the right. If you need to contact us for more information about our services, feel free to do so.